Harvey was born and raised in Auckland, New Zealand and attended at Auckland University before coming to the UK to study law. Upon completing his qualifications, Harvey spent some time as an agent advocate in the County Courts around the North East. 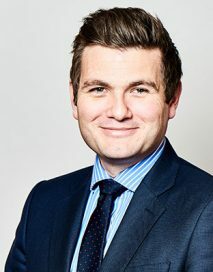 Harvey has been practising at the Bar in the North East since 2004 and has built a significant and specialist practice in Care and private law children work. He is regularly instructed by Local Authorities, family members and Guardians and is frequently involved in matters involving serious non-accidental injury, chronic neglect and sexual abuse. He is experienced in matters requiring in-depth and complicated examination and cross examination, particularly of medical experts. Whilst known as an effective advocate, Harvey maintains a reputation for exceptional client care. Harvey appears in the Family Proceedings Court, County Court and High Court on a daily basis. He also has experience in the Divisional Court (Queen’s Bench Division) and Court of Appeal. Re S (Relocation: Interests of Siblings) 2011 2 FLR 678 CA : Removal from Jurisdiction application by non-resident Father. Planned move to Canada with 2 siblings. The interests of each child and reference to the Welfare Checklist must be undertaken individually in respect of each child rather than treating the children as a “sibling unit”. Nicholls v Nicholls  All ER (D) 249 : Contempt of court and purging contempt: Defendant had breached a non-molestation order, and an occupation order on five occasions, and had previously received custodial sentence and a suspended sentence. The judge had been right to impose a custodial sentence of 12 months, and to activate the suspended sentence. Matters should have been deployed in the course of an application to the trial judge to purge her contempt. Duffy v Chief Constable Cleveland Police  All ER (D) 76 : Case stated. Appropriate mens rea: The deputy district judge had failed to have regard to the subjective element when considering the issue of self-defence. Legge v Legge  All ER (D) 245 : Injunctive proceedings: A sentence of nine months’ imprisonment, suspended for the duration of a non-molestation order, was manifestly excessive, in the context of a history of past breaches of non-molestation orders, where shorter suspended sentences had proved to be effective deterrents to further breaches.